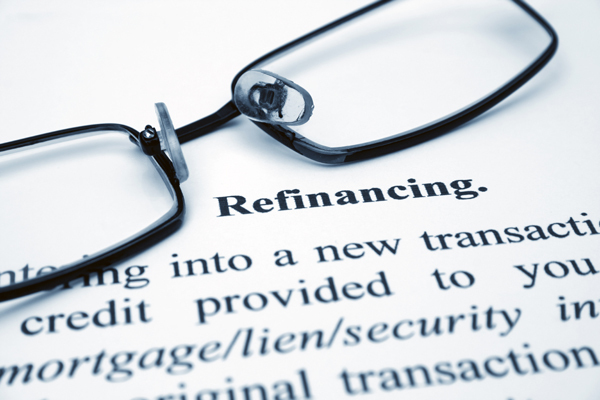 Lake Minnetonka Mortgage News - Time to Refinance? Lake Minnetonka Mortgage News – Time to Refinance? The Lake Minnetonka mortgage market is abuzz with talk about refinancing. With 30-year fixed rates approaching all-time historical lows many economists say this could be the best time ever to refinance your mortgage – even if it’s only a few years old with what was a great interest rate at the time. Recent turmoil over Great Britain’s departure from the European Union caused stock markets around the globe to nosedive. When the stock market is weak, interest rates generally stay low. As one analyst put it, “Financial turmoil can be awfully good for mortgage rates.” Let’s examine why it may be a good time to refinance and where Lake Minnetonka mortgage rates may go from here. Uncertainty in the market is causing investors to sell off their riskier global stocks in favor of safer U.S. mortgage bonds. Mortgage bonds are considered among the the most secure in the world market because they’re made up of home loans made in the U.S. following the most stringent guidelines in decades. When the bond prices go up, the bond yields or rates go down. When this occurs, it’s usually a good time to take a look at your mortgage and consider refinancing. As an example, just a slight rate decrease of .25% would decrease your monthly payment by $42 on a $300,0000 mortgage. While Lake Minnetonka mortgage interest rates have been low for several years, many homeowners have recently gained a great deal of home equity, thanks to fast-rising home values. Not only are they eligible to refinance, but they may choose to access some of their new-found equity. The mortgage market may very well have a refinance boom similar to that from 2008-2014, when roughly 25 million borrowers refinanced their mortgages, according to a new report from the Urban Institute. If you’re thinking of refinancing – and we think you should be – here are a few tips we recommend. Make sure your mortgage lender is quoting you the correct rate. Rate quotes are dependent on your loan closing and finalizing in a certain number of days. If you need a longer rate lock period you’ll likely pay a higher interest rate. Should you find a rate quote that’s lower as you’re shopping around, ask the lender about their rate lock time period. Make sure they are able to close your loan within that timeframe. Confirm the timing. As more people elect to refinance, Lake Minnetonka mortgage lenders will get very busy. Ask your lender for confirmation that they’re giving you a rate quote that gives them enough time to close your refinanced mortgage. If they can’t do that, find another lender. Remember your second mortgage (if you have one.) If you have a second mortgage on your home – even if it’s a Home Equity Line of Credit (HELOC) – the second mortgagee has to agree to the terms of the new first mortgage before you can close the refinance. Prepare your documentation again. It may sound crazy, but even if you’re refinancing with your existing lender, the federal regulations require them to verify and update employment, income, asset and debt information all over again. So be prepared to go through pretty much the same process you did when you took our the previous mortgage loan. What About Lake Minnetonka Mortgage Costs? You should make a point to discuss the break even point of refinancing with your Lake Minnetonka mortgage lender. Refinancing usually costs between $2,000 – $4,000 depending on your market and the lender you choose. Typically, interest cost savings as a result of a refi should mean your break even point would be sometime between 2-3 years. Another tip to remember: a “no cost” refinance isn’t really free of any costs. The borrower is being given a slightly higher rate in order for your lender to, in effect, finance the closing costs. Ask your lender to help you with cost comparison analyses to find out what your costs are compared to what your interest rate savings will be. If you’re planning to sell your home sooner than the 2-3 year average break even period, you may want to rethink your refinancing plans. Although yields on the 10-year Treasury bonds – which Lake Minnetonka mortgage interest rates follow somewhat – will need to remain low for a while before mortgage rates drop markedly lower, it’s definitely worth watching rate activity and planning for a potential refinance. Whether you ultimately elect to refinance your current mortgage or not, mortgage experts suggest you weigh your options carefully. If rates do continue to drop, they could possibly drop even more. Decide what rate you can best be satisfied with. Many times in falling rate markets, prospective borrowers keep waiting and waiting for rates to go lower. Then, when they begin to rise, an unprepared borrower may actually end up paying slightly more than he could have if he had acted quicker. Our suggestion: don’t be greedy. If you like the new interest rates once they fall – if they do – then refinance. If you’ve done your homework, you’ll still save money in the long run. You can find more articles pertaining to the Lake Minnetonka mortgage market in the Mortgage Info section of our site below Lake Minnetonka Real Estate Categories in the column to your right.